In what promises to be an exciting clash between teams placed one and three on the table, the Titans face a stern test in the form of the Dolphins in the Momentum One Day Cup 2019 on Friday at the Kingsmead, Durban. Titans have been the in-form team in the tournament with four straight wins propelling them to the top of the table while the Dolphins have slipped to third after a couple of losses. 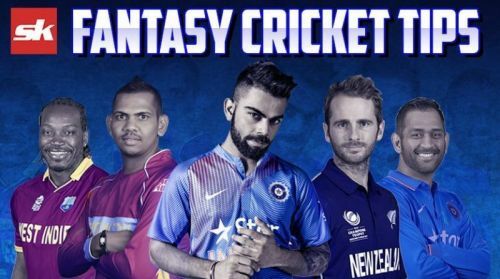 With the race for a spot in the final intensifying quickly, here are a few tips to help you pick your Dream11 team. Morne van Wyk is in danger of losing his place in the side with Marques Ackermann on the sidelines. He should be persisted with in this crucial match while the bowling needs to up their game after being toyed around by the Cobras batsmen in the previous games. After a comprehensive win against the Cobras, no changes are expected of them with their bowlers running riot in the previous game. Diego Rosier and Dean Elgar are set to keep their places at the top of the order while the experienced pair of Kuhn and Klaasen hold the key in the middle overs. Chris Morris and Junior Dala are also in good wicket-taking form and will be crucial against a good Dolphins batting unit. Possible XI: Rosier, Elgar, Kuhn, Behardien, Klaasen(C&WK), Bruyn/Zorzi, Morris, Dala, Moreki, Mahlokwana and Bosch. A good surface is on offer although rain could have a say in the outcome of the side. Teams winning the toss should opt to field to avail the advantages of the DL method. Batsmen: Dean Elgar and Sarel Erwee are must-have players in the side while the likes of Heino Kuhn and Temba Bavuma are also good options who are capable of rotating the strike in the middle overs. Farhaan Behardian is also a viable option with the Titans batsman in good form batting lower down the order. All-rounders: Senuran Muthusamy and Chris Morris have been at their best this tournament with vital contributions with both bat and ball. They are invaluable assets to the team and should be the first names on the fantasy team sheet. Bowlers: Two of Junior Dala, Gregory Mahlokwana and Tshepo Moreki are a must in the side with all three of them in good wicket-taking form. Keshav Maharaj and Calvin Savage should suffice in rounding off the team for this contest with their wicket-taking ability to bound to yield a wicket or two on Friday. Captain: Dean Elgar and Sarel Erwee are the front runners for the mantle of captaincy while Chris Morris' accurate bowling combined with his pinch hitting abilities make for a good captain as well.